World-class facial rejuvenation and body contouring in the heart of Manhattan by esteemed double board-certified facial plastic surgeon Philip J. Miller, MD, FACS. Highly regarded facial plastic surgeon and artist who can restore your aesthetic confidence through unsurpassed skill, innovative rejuvenating techniques, and cutting-edge technology. Philip J. Miller, MD, FACS offers a range of hand-selected dermatologist-tested skin care products that nourish, repair, and rejuvenate the skin. Highly acclaimed skin specialists in New York City helping patients through every step of their aesthetic experience. 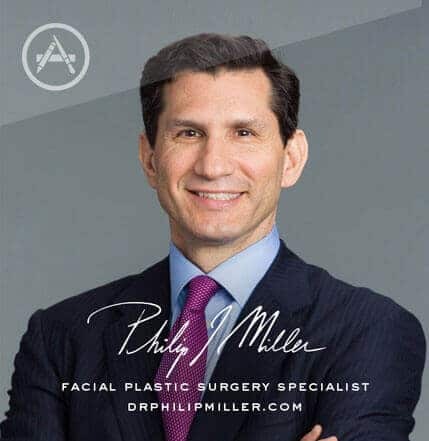 Considered one of the country’s leading experts in rhinoplasty and facial rejuvenation, Dr. Philip Miller is double board-certified in facial plastic and reconstructive surgery as well as otolaryngology/head and neck surgery. For more than two decades, Dr. Miller has dedicated his career to providing patients with customized surgical and non-surgical facial procedures. Combining his expertise and skill with an artistic eye, Dr. Miller achieves impeccable results for his patients that are life-changing. Dr. Miller’s highly acclaimed team is proud to offer our patients the highest level of care and customized treatments to suit their unique needs and goals. 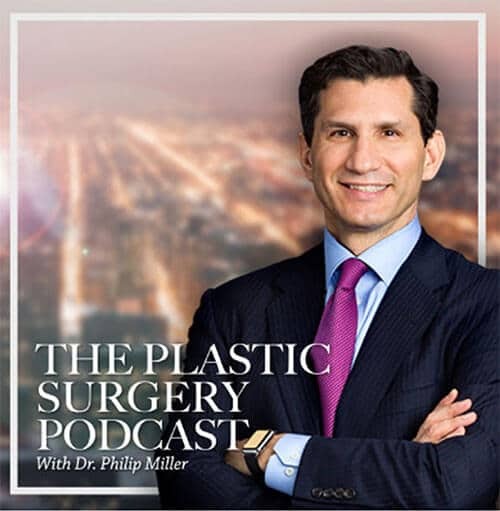 Whether attending an initial consultation, MMS, PA-C, or undergoing head-to-toe plastic surgery with Dr. Philip Miller and plastic surgeon Dr. Douglas Steinbrech, our compassionate, professional, and dedicated team ensures that each patient enjoys personalized attention in a warm, luxurious environment. Men and women fly in from across the country and around the world to undergo comprehensive aesthetic procedures by Philip Miller, MD, FACS. Located in the heart of Manhattan, our state-of-the-art facility offers patients exceptional care and treatment in a discreet, confidential, and accredited practice. Combining minimally-invasive techniques with breakthrough technology, our practice is the number one choice for facial plastic surgery, plastic surgery, and non-surgical procedures in NYC.